Some of my childhood years were spent in beautiful California where afternoons at local malls were a quintessential part of weekends. One of my favorite parts of going to the mall was getting a drink made by a company called Orange Julius. It was a creamy icy blend of orange with a very distinctive sweet flavor. Years later I would come back to the same mall I used to go to in San Francisco only to find that Orange Julius was gone. 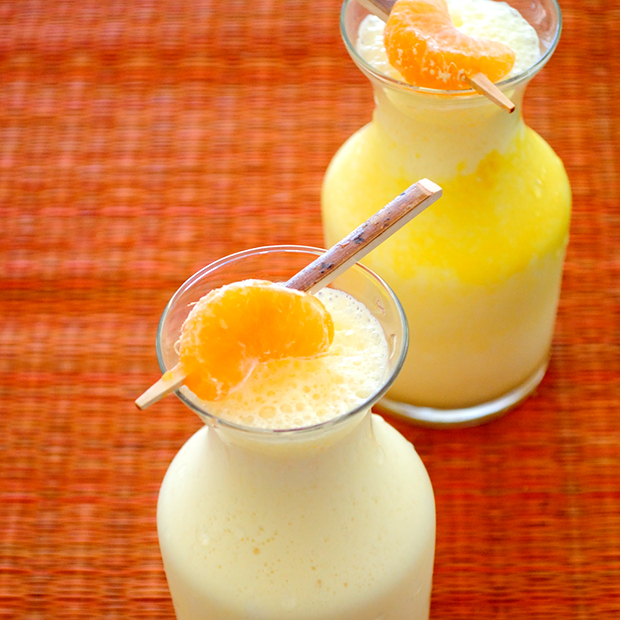 After doing some research and locating someone who used to work for the company, I finally got the basic recipe and here is my tweaked and healthier version of this Creamy Orange Blast inspired by Orange Julius- my childhood cocktail come to life! 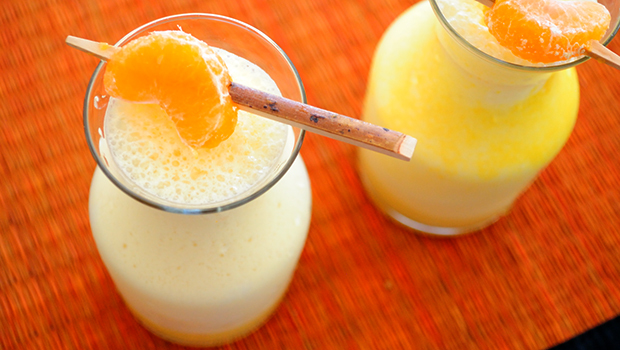 A kid friendly drink can’t get healthier than this and it’s so yummy for summer parties! Place all the ingredients together in a blender. Blend on high until smooth and frothy (1 to 2 minutes). Serve immediately.